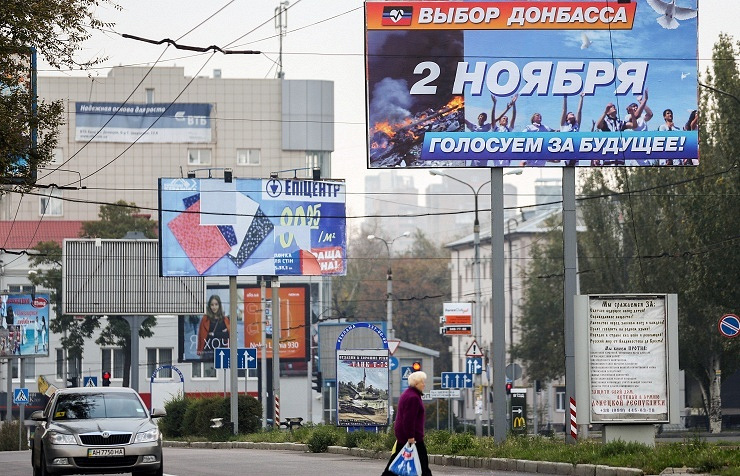 DONETSK, eastern Ukraine, October 26 /TASS/. The self-proclaimed Donetsk and Lugansk People’s Republic introduced new standards of time calculation on October 26 and switched over to Moscow time. The leaderships of both republics which used to live on Kiev time (which is one hour behind the Moscow time) have passed relevant resolutions this week. Russia has switched over to“winter time for the first time over the past three years, moving clock hands an hour back. In autumn 2011, Dmitry Medvedev, who was the president of Russia at that time, cancelled transition to winter time. The Russian parliament passed amendments to the law on calculation of time in Russia in the summer of 2014. Russia has 11 times zones, of which the Moscow zone is the biggest. Russia’s two new regions - Crimea and Sevastopol-have been included in the Moscow time zone. Five Russian regions are not going to switch over to winter time. They include the Udmurt Republic, the Samara region, the Kemerovo region, the Kamchatka territory and the Chukotka Autonomous District. According to a public opinion poll carried out by the VTSIOM public opinion center, one third of the Russians are happy with the transfer to winter time; one third wants to transfer the time twice a year. The opinion poll showed that 19% of respondents, predominantly young people and residents of big cities, except for Moscow and St. Petersburg, preferred summer time because they have got used to wake up and go to bed on summer time. Almost 48% of the polled believed a single time system should be introduced in all parts of Russia while 45% assumed that each region of Russia should choose the best suitable time option.